There's a lot to love about New York City today: A flood of new, ambitious architecture, refurbished river-fronts, miles and miles of additional bike lanes and recently launched parks like the High Line. New York is constantly evolving and changing. 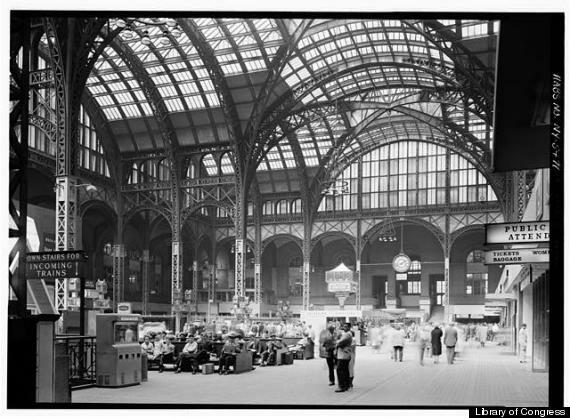 The original Pennsylvania Station was torn down in 1963 due to financial problems and replaced with a squat, hideous train station that's almost universally despised. The brutal demolition of such a beautiful, historic piece of architecture was a huge embarrassment for the city. As a result New York established the Landmarks Preservation Commission, which was tasked with saving the city's historic landmarks and avoiding further debacles. 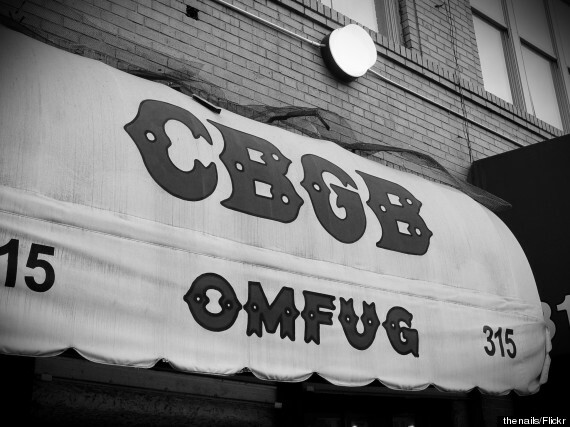 CBGB was once much more than just a T-shirt logo . The iconic music club is recognized for its key role in the 1970s and 1980s NYC punk scene and hosted everyone from Patti Smith to the Ramones. The spot closed in 2006 and the space is now home to a high-end clothing store. Once billed as the world’s largest theater, the Hippodrome on Manhattan’s West Side was big enough to allow more than 1,000 actors to perform at the same time -- including famous magician Harry Houdini. The theater also boasted an 8,000 gallon water tank that could be raised for diving and swimming shows, before closing in 1939 in part due to the Depression and the increasingly popular movie business. 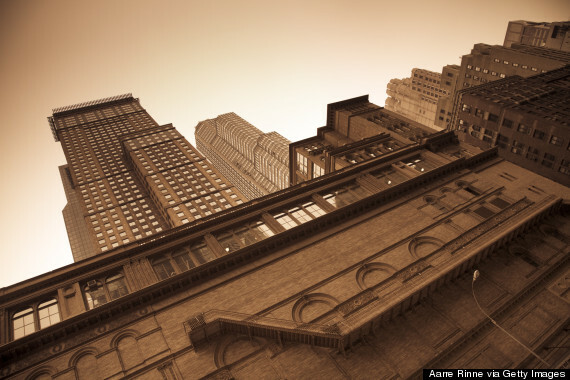 Above the historic concert hall, Carnegie Hall Towers once provided affordable housing to dancers, photographers, poets and musicians. Marilyn Monroe, Mark Twain, Marlon Brando and Grace Kelly once hung out there, but the building's last remaining residents were pushed out in 2010 to create more rehearsal space. Until 2007, this stable gave just about anyone the chance to go horseback riding in Central Park, where the paths were designed with horses in mind. While a new stable has been built as a home for police horses, arranging a horseback ride in the park is now much more complicated. In the late 1970s, Studio 54 became the city’s hottest night spot drawing countless celebrities like Michael Jackson, Mick Jagger and Woody Allen. Like all good parties, it had to end, however, and shut down after just three years. Jack Kerouac, Allen Ginsberg, Bob Dylan and Bruce Springsteen all performed at this basement cafe that became synonymous with the beat generation until closing in 1971. A tattoo parlor now sits above the old location at 116 Macdougal Street. Built in the 1890s, the original Waldorf-Astoria raised the bar for what a hotel could be. In 1929 the original location was sold to the developers of the Empire State Building and the hotel moved to a new location uptown. Before it hosted throngs of sunbathing New Yorkers, the Sheep Meadow in Central Park was home to grazing sheep. November 19, 2013, will go down in history as a sad day for graffiti enthusiasts. 5pointz in Queens, once one of the largest spaces for graffiti artists to legally work in the city, was whitewashed overnight erasing graffiti works by some 1,500 artists. The abandoned factory, which once served as the artists' canvas, will be torn down to make room for luxury apartments. While the site of the original Brooklyn Navy Yard remains, it hasn't been in use as a shipyard since 1966. 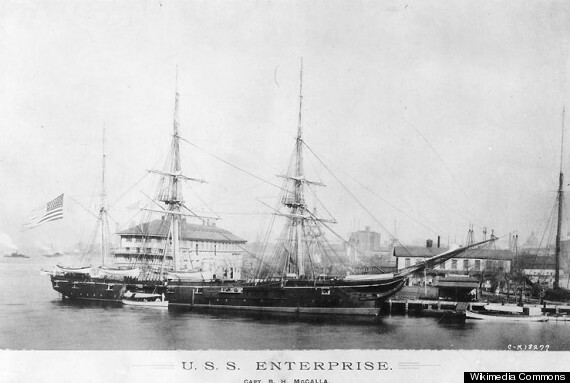 Originally established by President John Adams in 1801, the shipyard was used to build merchant vessels. It's now home to a number of things including a movie studio, which is where the TV shows "Girls" and "Boardwalk Empire" are made. In the early 1900s, the Bronx had its very own version of Coney Island called Starlight Park. The amusement park featured a roller coaster, large swimming pool and hosted free concerts before shutting down in 1932. One frequent visitor described the park as a “blue-collar country club,” in a letter to the New York Times. In 2013, Starlight reopened as a pedestrian park. 12 Iconic American Products Not Made In The U.S.
Rawlings baseballs, which are the official balls of the MLB, are <a href="http://www.taipeitimes.com/News/bizfocus/archives/2010/03/28/2003469097">handmade in Costa Rica</a>. Up to 2.4 million balls are made each year.